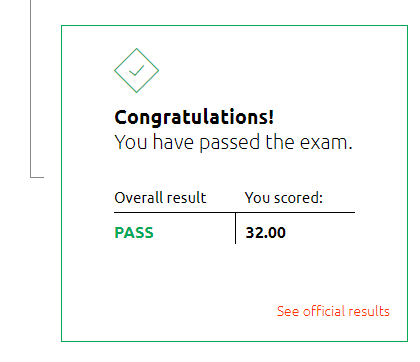 I passed my ITIL 4 on March 31, 2019 ending my first quarter 2019 on a very positive note. I started studying on March 20, 2019 passing 11 days later. The ITIL 4 is the new version coming out February 28, 2019. Passing it increased my competitive advantage in the workplace. AXELOS will retire the ITIL 3 June 2020. Getting a 14-month head start will position me to be more in demand. I discussed competitive advantage in my Amazon bestselling Expand Your Personal Brand You can buy it here. Yes, it is March already! I know, I know just a second ago it was January 1st; and, now look at you. You have blinked and -BOOM – it is already March! How have you fared this far into 2019? Good, bad, in between, really can’t say? Well, that’s why I have written this email everyone because I am here to help you gauge your progress. Here are 10 things you should evaluate. Have You performed all of your responsibilities? This is number 1 for a reason. Not only perform all of your responsibilities, do your best job. No slacking just because the tasks are not new anymore. Also if you are stuck, ask for help. Have you learned the new culture? Culture is very important to any organization. Absorb it like a sponge. Watch for the nonverbal which are more powerful than the verbal communication. Meet with your boss to make sure that you have clear and concise instructions. This year is different from last year and you need to know what is expected of your right now in the beginning. If anything goes wrong, bring it up now. Don’t let it fester. The question you should ask is ‘ what is your definition of success?’ These meetings also signal to your boss, that you are proactive and in control of your career. Remember, it is your responsibility to advance your career. Did you have any easy wins? Document all of these early wins. These go beyond bolstering your self-esteem. You can bring them with you during your meetings with the boss. Furthermore, they will serve as inputs for your first quarterly review. Documenting your wins shows your boss precisely what you are contributing. Have you reviewed your processes and procedures? If you have a solution to the problem, write it down before pitching it. Oftentimes, people mention their new ideas during meetings but don’t do the legwork to execute them. Formally writing down your solution, makes you more credible because he has something to work with. Are you building relationships with your colleagues? Don’t stop networking just because people are returning from the holidays and just getting back into the flow of work. A new cycle means new opportunities. Have you outside of your bubble? Get out of the bubble and see how other departments operate. This would also be a great time to network and meet the new hires. You can also see if these other departments have needs and gaps to fulfill. Maybe another department is doing something better that you can incorporate into your routine. You will never know if you stay in the same fishbowl. Have you assessed your colleagues’ feedback? Feedback is critical towards your immediate and future success. Taking the emotion out of the situation is my first recommendation. We are new and want to be accepted so job when someone says something critical, we become defensive. The reality is that your boss and coworkers are trying to help you do your job better. Are evolving in 2019 or stagnant? I add the word evolve in there because you are wiser now than in the very beginning. Write down how you have evolved over these two months and what you expect to accomplish by the 90-day mark. Are continuing to learn new things? Even though you think have mastered everything, still keep learning. Training also presents you with a chance to expand your internal network by meeting new employees. Reviewing these 10 things will help you better determine where you are during these first 60 days. P.S. 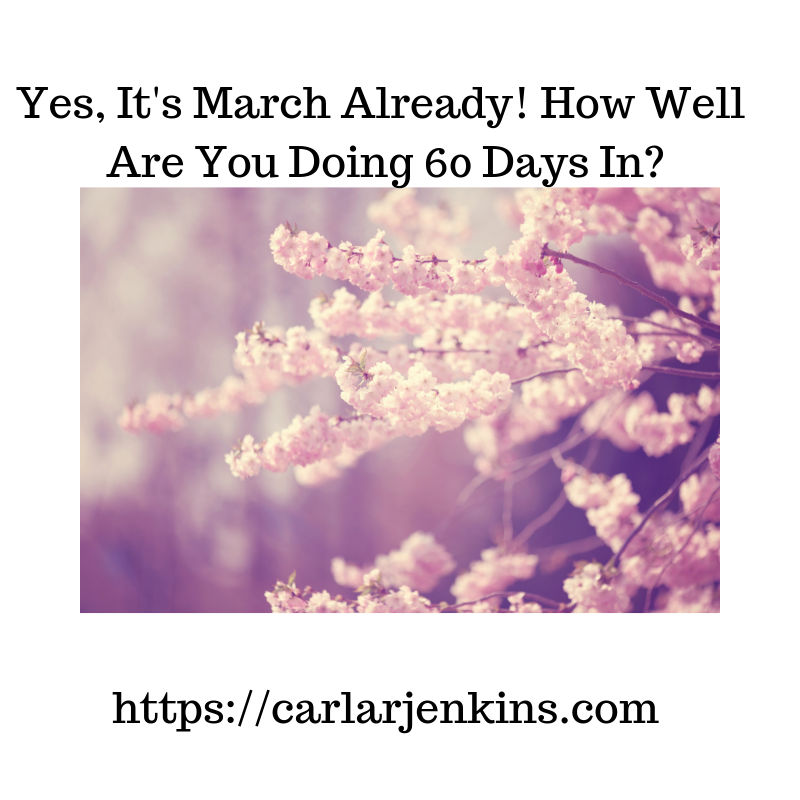 – As I mentioned before, my spring cleaning ebook series will be coming out this March so be on the lookout to learn easy ways to spring clean your life, business and work. Hey everyone! This is Carla. Yes, if you live where I live snow may be on the ground and frigidity is in the air; but, look at the calendar: it will be March 1st this Friday! March the official start of spring and this should put you in a good mood everyone (even the groundhog is cooperating!)! I mean spring is a time for renewal, blossoming and warmer temps (there is a season for everything!). P.S. 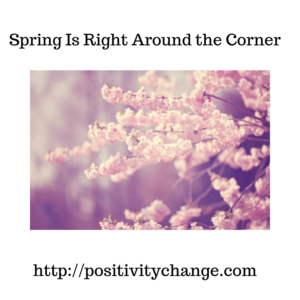 – I am letting you know that there will be more spring cleaning articles and ebooks coming soon. So keep it right here. We are 45 days into the New Year. Can you imagine it? We just gotten out of January and boom we are halfway into February! Time is surely flying. 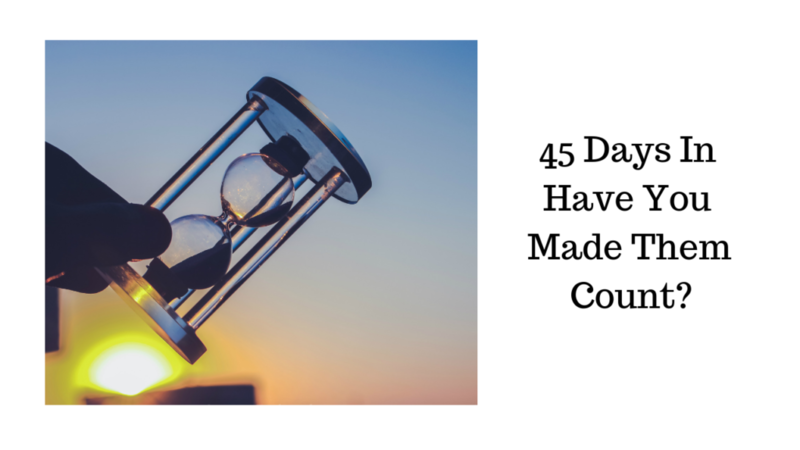 I have to ask you: are you making your days count? Are you fulfilling your New Year’s Resolutions or have they fallen by the wayside? If you have stumbled, no problem. Use today to recalibrate and go after it. The thing is to do it now and not delay it any longer because 45 days become 90 days and then you look up and it will be December all over again! What a positive way to start our day! 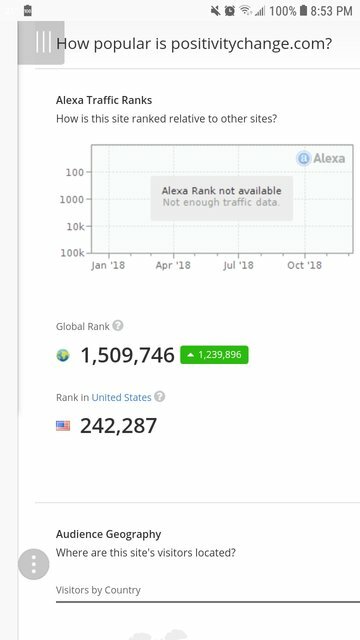 Alexa Internet has ranked www.positivitychange.comin the US! This means that many Americans are checking our page for more positive change tips and testimonies. I am very happy that our content is resonating with so many people. I have started this site in 2015 because no one was talking about positive change only negative change. I knew that others were stumped and having the same problems that I was having. 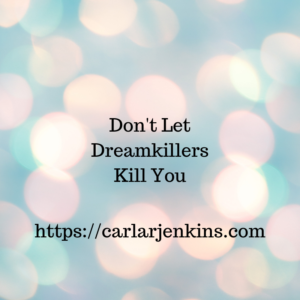 I went on GoDaddy, purchased this domain, opened up WordPress and started blogging. Over the years, I expanded to podcasting, Facebook and BlogLovin while always keeping the positive change management theme. 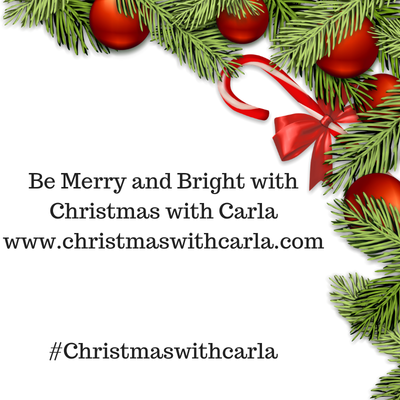 Posted bycarlarjenkins December 9, 2018 December 21, 2018 Posted inUncategorizedTags: Alexa, business of blogging, spread positive change, websiteLeave a comment on Alexa Internet Ranks PositivityChange.com! Hey everyone! For those who are new to PositivityChange.com, I am a certified Project Management Professional (PMP). My certification has helped me build this blog to what it is thus far. Project management has also guided me through expanding the blog onto social media and BlogLovin. So here are the 3 ways my PMP has positively helped me. Earning my PMP has deepened my project management knowledge. I have been applying it to everything. Anything can be a project. Project management is one of the hottest fields and now everyone bills himself as a project manager from virtual assistants to administrative assistants. Having my PMP gives me instant credibility because the PMP is the gold standard. PMP makes me stand out from anyone. My first blog posts in 2015 were project management related.Positive change came later. Actually, without project management there would be no PositivityChange.com. Applying project management towards my content creation has made me more effective in spreading positive change on the blog and across social media. Some people would be surprised that a creative has a PMP. You should not be because my PMP brings order to creative chaos. These are three ways that my PMP has positively helped me.To learn more about the PMP process, visit the Project Management Institute website here www.pmi.org. PositivityChange has reached another milestone. Our Facebook page has received 55 likes! This is huge especially since spreading positive change is our core message. So like our page and join the community to have more positive change! This past November I celebrated my 12th year on Facebook. I celebrated 3 years on www.positivitychange.com. 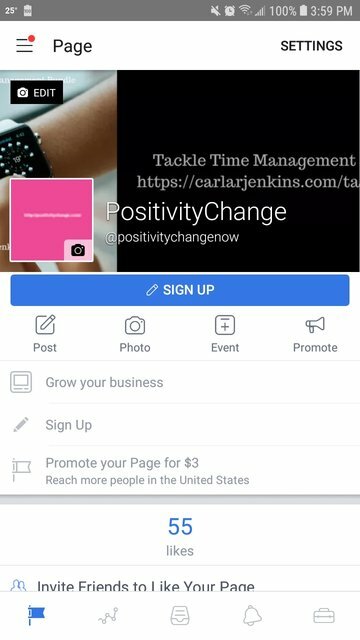 Most people don’t know that I have had my PositivityChange Facebook Page before my professional page. I am very happy to be afforded the opportunity to get a Facebook account before the masses. I have used it to spread positivity throughout the Internet. So when you need more positivity on Facebook, feel free to like my Facebook page.